May your day of joy not turn tragic. Just minutes before saying "I do", a couple have unfortunately lost their lives following a tragic car accident on their wedding day. The couple lost their lives while driving to their wedding in Berks County, Pennsylvania, U.S., according to reports. Bride Kathryn M. Schurtz, daughter of former Fanwood Councilwoman Karen Schurtz, and Kathryn’s fiance Joseph D. Kearney, died in a crash on Wednesday while driving to their wedding in Pittsburgh, according to the Facebook page for the municipal government of Fanwood, Union County. 35-year-old Kathryn Schurtz of Jersey City graduated from Union Catholic High School in Scotch Plains, Union County, and received her undergraduate degree from George Washington University, according to her obituary. She also earned her Masters of Business Administration from the University of Notre Dame. 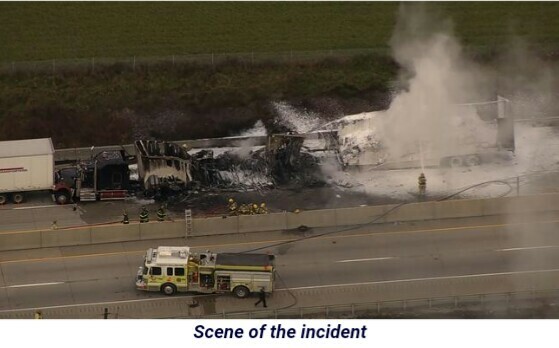 The two were killed in a chain-reaction crash on I-78 in Berks County involving a tractor-trailer, according to News12 New Jersey. RIP!